This document sets forth the terms and conditions governing the purchase and delivery of items through the website "carat-online.at". Once you have selected the desired item you can add it to your shopping cart by clicking the (“Buy”) button. The contents of your shopping cart can be seen at any time by clicking the button (“Cart”). You can change the content of your shopping cart or empty it entirely by clicking the buttons ("delete/symbol X”) at any time. If you would like to buy the contents of your shopping cart please proceed by clicking the button (“Checkout”). Please enter your customer details. After you have entered your customer details and selected the preferred payment and delivery method, please confirm your order by hitting the (“Buy now”) button. You can edit your order or your customer details at any time using the browser back button. At any stage of the order placement, until the payment is made, you can cancel the order by discontinuing the ordering process and leaving the ordering website by closing your browser window. These terms and conditions shall apply to all orders and contracts made or to be made by us for the sale and supply of products. No other terms or changes to the terms and conditions shall be binding unless agreed in writing signed by us. The prices are stated in euros (€) and include the austrian legal VAT of 20%. For customers from Germany the german VAT of 19% is included. For EU buisness customers with legal business identification number (UID) no VAT will be charged. Handling fees and possible import duties shall be borne by the recipient. Prices are valid at the time of order (for private customers VAT is included). Shipping costs will be added during checkout. The minimium amount is € 75.- plus shipping costs. 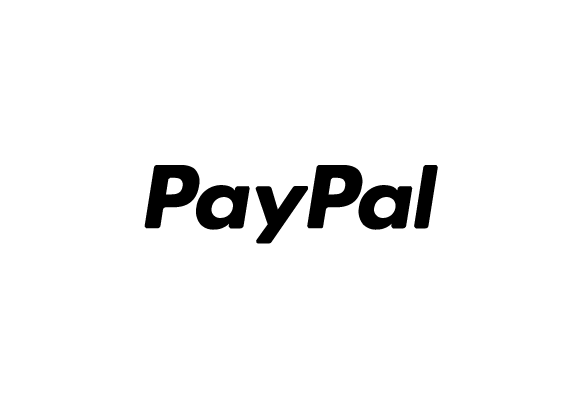 Payment by credit or debit card (Visa, MasterCard, Maestro) through PayPal. Your data is sent by SSL protection which fully encrypts all of your data. Shipping is on Mondays and Thursdays (not on public and bank holidays). All items will be shipped as registered post and include shipping insurance. All photographs of our gemstones concerning its shape, color, cutting and clarity, are as real as technically possible. Although we have made every effort to display the colors accurately, we cannot guarantee that your computer's display of the colors accurately reflect the color of the items. Your items may vary slightly from those images. All photographs are enlarged, the real dimensions can be found in the detailed article description. You have the right to withdraw from this contract within 14 days without giving any reason. The withdrawal period starts once the withdrawal notification is recieved in writing. To exercise your right of withdrawal you must inform CARAT-Edelsteinhandel e.U., A-1010 Vienna, Graben 17/DG, info@carat-online.at) of your decision to withdraw from this contract by an unequivocal statement (e.g. a letter sent by post, fax or e-mail) and also communicate your name, address, and if available, phone number, fax number and e-mail address in this writing. You may use the attached model withdrawal form or use our online withdrawal form, but it is not obligatory. If you make use of your withdrawal right we will immediately send you a confirmation of receipt of such withdrawal. In the event of effective withdrawal any mutually received performance shall be returned and possible benefits derived (e.g. interest) repaid. If you are unable to return the item recieved in whole or in part or are you only able to return it in deteriorated condition, you will be liable to pay compensation in this respect. The requirement of compensation for the deteriorated condition of the item or any benefits derived shall not apply if the relevant benefits or deterioration of the item are due to the simple trial use which the customer would have reasonably been able to conduct in a store by making an examination of the properties and functioning of the item. The obligation to pay compensation for items that have deteriorated in spite of correct handling can be avoided altogether if you stop using them and refrain from treating the item as your own property and refrain from doing anything which will detract from their value. The items must be returned at your own risk and expense. The obligation to refund payment must be met within 30 days. This term shall commence for you upon dispatch of the notice of cancellation or of the item(s), and for us upon receipt of same. We guarantee the 2 year statutory warranty period. The defects must be reported in writing and immediately upon receipt of goods. If the goods are found to be defective in material or workmanship (following our investigation) we will replace the goods or refund the price. The risk of destruction, loss or damage is transferred to the customer, after the delivery item is handed over by the carrier choosen by CARAT-Edelsteinhandel e.U. However, if the customer chooses to select the carrier by himself, the risk of destruction, loss or damage is transferred to the customer upon handing over the delivery item to the first forwarding agent, haulage contractor or any other transporting agent appointed to conduct the delivery. All contents as pictures, grafics and text files at the website "carat-online" are subject to the copyright protection and other laws of protection of intellectual property. Therefore, the contents are not allowed – neither as a whole or in part – in any way to be copied, reproduced, transferred to third parties, loaded, publicised or distributed. However, storage on one’s own personal computer and printing of excerpts is exclusively permitted for personal use. Any additional use constitutes an infringement of copyright law. The user acts on his own risk. Place of fulfillment for all liabilities of the contract and place of jurisdiction is Vienna, Austria, unless binding statutory regulations, in particular consumer protection regulations, state otherwise. If the contracting party is a consumer, the mandatory rules of the law of the state in which he has his habitual residence, are applicable to this agreement. If the consumer is resident, any actions against him under sections 88, 89, 93 (2) and 104 (1) JN can arise through jurisdiction of the court of the consumers´ place of residence or place of employment; this does not apply to legal disputes that already started. For any legal disputes arising from the contract, the mandatory provisions of consumer law at the place of residence of the consumer are also applicable to the contractual relationship. The invalidity or inefficacy of individual regulations of this contract does not affect the validity of the remaining regulations of this terms and conditions. You can save these terms and conditions in PDF Format.